Building owners and homeowners in virtually every region of the U.S. are enjoying a high level of comfort and significantly reducing their energy use today with geothermal heating and cooling. This technology, which has been used since Roman times, relies primarily on the Earth’s natural thermal energy, a renewable resource, to heat or cool a building, house or multi-family dwelling. 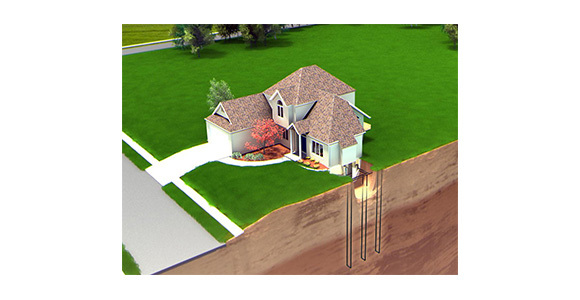 The only additional energy geothermal systems require is the small amount of electricity they employ to concentrate what Mother Nature provides, and then to circulate high-quality heating and cooling throughout the home. According to the U.S. Environmental Protection Agency, geothermal systems save homeowners 30-70% in heating costs, and 20-50% in cooling costs, compared to conventional systems. Geothermal systems also save money in other ways. 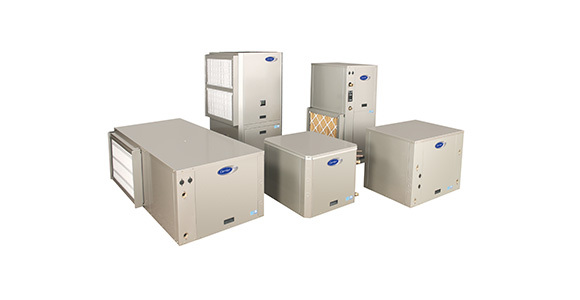 They are highly reliable, require little maintenance, and are built to last for decades. They add considerably to the value of homes and buildings. Today, homeowners in all income brackets can take advantage of the benefits of geothermal heating and cooling. Initial costs have declined substantially as many more builders and heating and cooling contractors nationwide make geothermal systems available, and as innovative techniques enable the loops to be installed more quickly (often in one day) and for a lower cost. Some electric utilities around the nation now have incentive programs and low-interest financing programs which can make geothermal systems even more affordable. Many financial institutions also now allow home buyers to qualify for larger mortgages if they purchase a house that uses a geothermal system. The reduction in monthly energy bills more than offsets the slightly higher mortgage payment. Today, the major barrier to wider use of geothermal technology is the fact that many consumers simply are not aware of its existence.